Don't be surprised if getting around this weekend takes you longer than expected, especially in downtown D.C. Most significantly, Red Line service will be shut down at three major downtown stations. Metro will be repairing several stations and sections of track ahead of Sunday's fare increases. On the Red Line, the Dupont Circle and Farragut North stations will be closed, as will the Red Line platform at Metro Center. 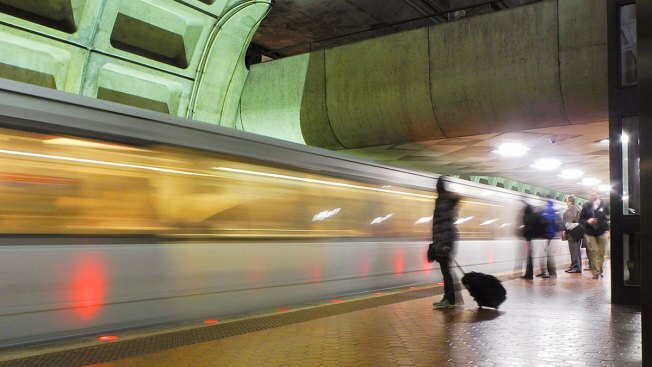 Buses will replace trains to bypass those stops, running between Woodley Park and Gallery Place. Limited-stop buses will travel directly to Metro Center. Local buses will stop at Dupont Circle, Farragut North and Metro Center. Elsewhere on the Red Line, trains will run between Shady Grove and Woodley Park every 10 minutes, and between Gallery Place and Glenmont every 15 minutes. On the Orange Line, regular weekend service will be in effect, but at East Falls Church, all trains will arrive on the New Carrollton side of the platform. On the Blue Line, trains will run every 20 minutes. On the Yellow Line, trains will run every 20 minutes between the Huntington and Mount Vernon Square stations. All trains will run to/from Mount Vernon Square rather than Fort Totten. If you are traveling to or from a station north of Mount Vernon Square, use a Green Line train to complete your trip. The Green Line will have regular weekend service. No delays expected. Service adjustments will begin at 10 p.m. Friday and continue through system closing on Sunday. For more information, visit Metro on the web or call (202) 637-7000.